Spider-Man has largely played a hero to New York City for almost all of the films he has been in. But it is time to take Peter Parker out of New York and show him that heroism can be a global thing as well. 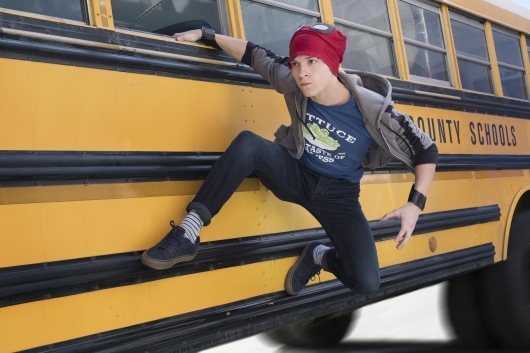 There is a new report that says Peter (Tom Holland) will be heading across the Atlantic once more. But not to stop the treasonous Captain America in Germany, again. No, this time the webslinger will be heading to England. More on the story below. This wouldn’t be the first time that Spider-Man has taken his heroics to Europe. Aside from the splash page battle sequence in Civil War, the character did some moonlighting heroics while in Germany – watch the Peter Parker movie bonus feature on the Spider-Man: Homecoming Blu-ray and you will know what I am talking about. It’s unclear why Peter will be heading to England, though many are already theorizing. One popular theory is that it has to do with a foreign exchange student program, which would make sense considering that Peter is still in high school. So we now have a little bit of an idea of how the next two Avengers films will help shape the sequel. We just have to wait and see what sort of traumatic events will motivate Peter to go on this trip. Avengers: Infinity War opens in theaters on April 27, 2018. The Spider-Man: Homecoming sequel opens in theaters on July 5, 2020.